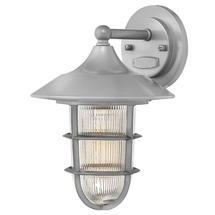 Marine styled outdoor wall lanterns in a silver/grey finish. 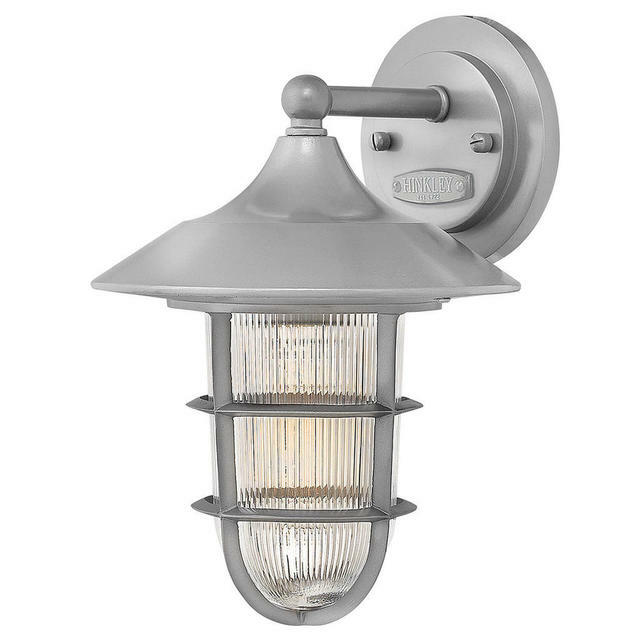 The Marina wall lantern is inspired by authentic ship passageway lighting, with die-cast aluminium construction, caged detailing and a Hematite finish (silver/grey). 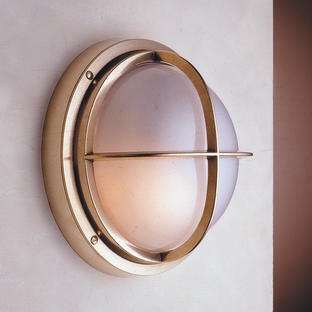 The lens is a holophane glass to finish this marine style light fitting. 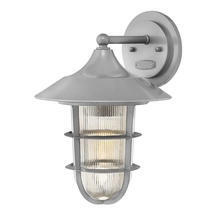 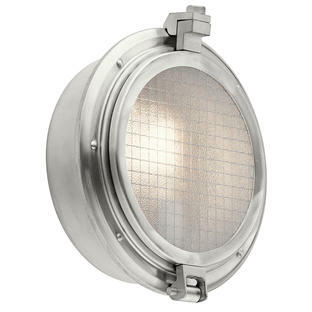 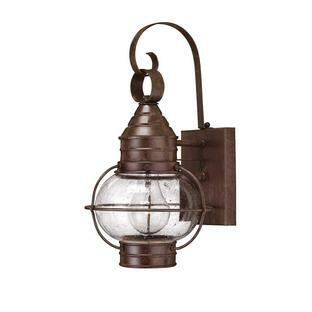 A ceiling flush outdoor lantern is also available in the Marina collection.